Home / backpack holidays / gorakhgadh / siddhagad / SIDDHAGAD: INSIDE THE FOG LAND! 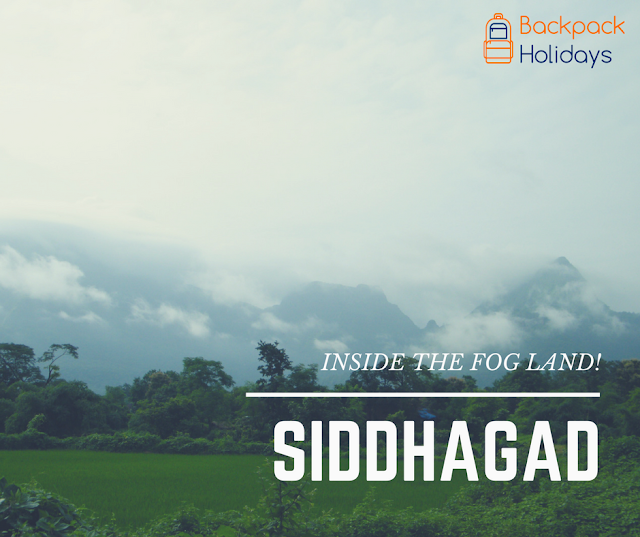 SIDDHAGAD: INSIDE THE FOG LAND! Siddhagad is one of the best treks in Murbad region. It is a surprise to many regular trekkers that even after being so beautiful, why is Siddhagad royally ignored. For us it's the best combo, Ignored + Beautiful. Approach to the base itself is full of water stream. Cross it and you hit the river. Climb a little and again water stream. Join us for Trek to Siddhagad only and only if you love to get wet. If you don't leave any stream or waterfall without bathing in it. Trek one side is of 3 hrs. Trek grade is medium. First timers can also give it a try since we are going and coming from same route. Schedule: We shall leave by private bus from Borivali at 6 AM. Route will be Borivali-Sion-Kalyan-Murbad and return. Approximately by 7 PM we should be back in Mumbai. 8. Backpack to carry all stuff.